Korea's arts and music scenes have faced challenges in recent years, even as they find unprecedented success. Once centered around the Hongik University area, many artists and musicians have become gentrification refugees, fleeing to Mullae-dong, a fading industrial neighbourhood south of the river. Here, the creativity as well as the noisiness of industry and art go together. 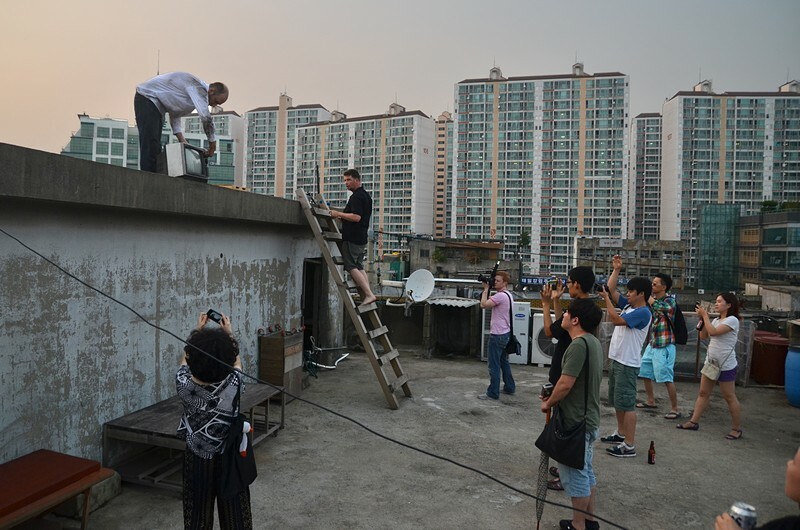 The area has led to the rise of art studios and live music venues, while also remaining one of Seoul's roughest areas. Ian Henderson, director of the heavy metal documentary "K-Pop Killers," and Jon Dunbar, author of the punk zine "Broke in Korea," will lead participants through the alleys of Mullae-dong, looking at its past history as an industrial whistle-stop region, its current status as a refuge for artists and musicians and the structural problems it faces, as well as its projected future. Please register your RSVP by Wednesday, Nov. 7 by simply clicking here. SHINHAN BANK ACCOUNT # 100-026-383501 (RAS-KB).